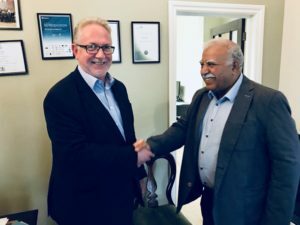 A visit from SOAS: a remarkable university. 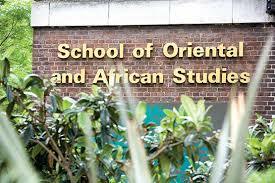 Home > A visit from SOAS: a remarkable university. A visit from SOAS: a remarkably unique university specialising in the study of Asia, Africa and the Near and Middle East. This distinctive set of curricula attracts inspired students from all across the globe; who query the pressing issues we face as a global society. ‘SOAS is synonymous with intellectual enquiry and achievement. As a global academic base and a crucial resource for London, SOAS is distinctively positioned to analyse, understand and explain some of the most challenging issues facing us in the world today. ‘From day one at our central London campus you will be encouraged to challenge conventional views and think globally – and that’s one of the reasons why our graduates go on to develop careers that make a real difference. With more than 350 undergraduate degree combination and 115 postgraduate programmes in social sciences, arts, humanities and languages – all with a distinctive regional focus and global relevance – you are aligned to find the curricula that best suits your inspirations. More recently, students can also opt to study Finance and Management subjects. We learned the university is also distinctive in its applications, assessing the components that make up an applicant’s profile beyond their qualifications, to ensure they will be suited to and contribute to the university ethos and culture. Stay tuned as we get familiarised and provide you with an insight to being a curious SOAS student or ‘SOASian’ and what it takes to get there. Salem on A visit from SOAS: a remarkable university. 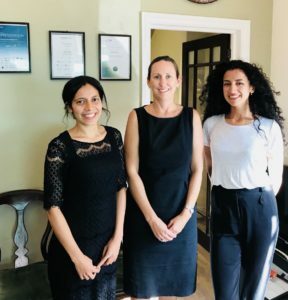 AQTD Limited is an educational consultancy company based in the South East of England, we specialise in delivering learning solutions to international students and overseas organisations. © Copyright 2016 All Right Reserved by AQTD.